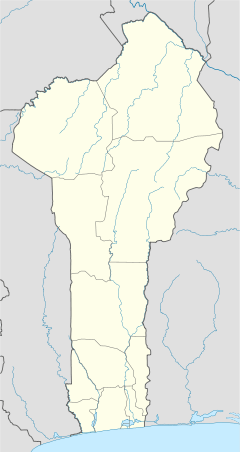 Tchaourou (Saworo in Yoruba etymology, meaning rattle) is a commune, arrondissement, and city located in the Borgou Department of Benin, a country in Western Africa, formerly known as Dahomey (until 1975). It is the birthplace of current Beninese president Yayi Boni. It is 50 kilometres (31 mi) south of Parakou. The commune covers an area of 7,256 km2 (2,802 sq mi) and as of 2013 had a population of 221,108 people., while the Tchaourou city proper has a population of 106,852 people, making it the 10th largest settlement in Benin. 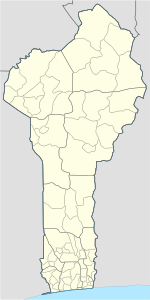 As an arrondissement and commune, Tchaourou is one of the largest municipalities in the Borgu department of Benin. It is home to people of various ethnic groups, mainly Yoruba people, also known as Anago or Nago, Bariba and Fulani peoples. Tchaourou is a mainly agricultural town. However, illegal activities in the sale of fuel have developed in the region, given its proximity to its major oil neighbor, Nigeria. The current mayor is Soulé Biyaou Abou. Tchaourou was once one of the most popular among the Fulani from the north of the country. As a result of the seasonal migration, however, several fodder trees such as Khaya senegalensis and Afzelia africana, which were common, are now very rare in the town. The disappearance of valuable species of trees, is caused by a combination of slash-and-burn shifting cultivation and exploitation of wood. Deforestation is very common, particularly logging for tree bark used in traditional medicines made by the Fulani herdsmen. The main languages of Tchaourou are Bariba, Fula (Fula: Fulfulde; French: Peul), Yoruba, Otamari and Yom Lokpa. The commune is divided administratively into 7 arrondissements, in 5 quarters and 31 villages. 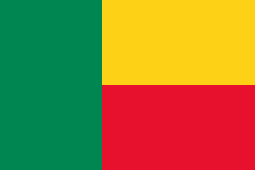 ↑ "Benin president safe after gunmen ambush". Xinhua. People's Daily Online. 17 March 2007. Retrieved 2009-01-11. ↑ "Weatherbase: Historical Weather for Tchaourou, Benin". Weatherbase. 2011. Retrieved on November 24, 2011. This article is issued from Wikipedia - version of the 4/6/2016. The text is available under the Creative Commons Attribution/Share Alike but additional terms may apply for the media files.